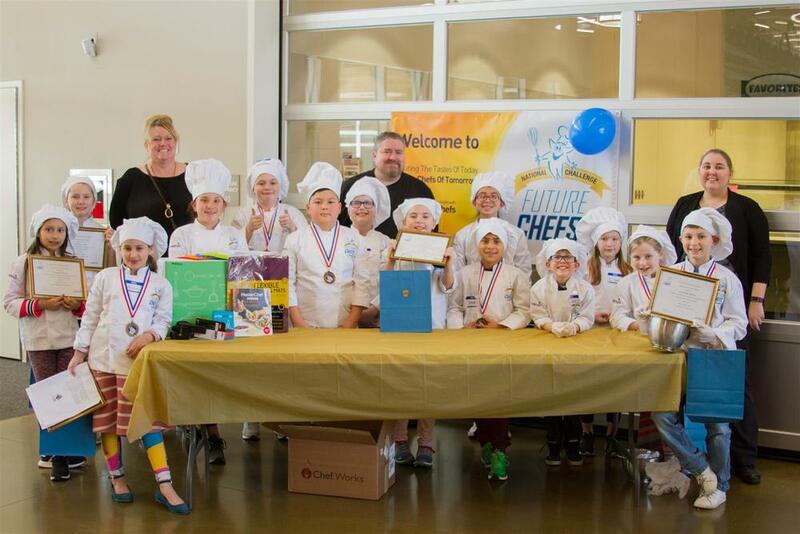 Woodland elementary students in second through fifth grades competed in the third annual Future Chefs of America event by cooking their own recipes for judging and enjoyment by attendees at Woodland High School on Tuesday, March 26. Each year, students interested in participating submit recipes based on a different theme with this year featuring healthy Mexican-inspired cuisine. 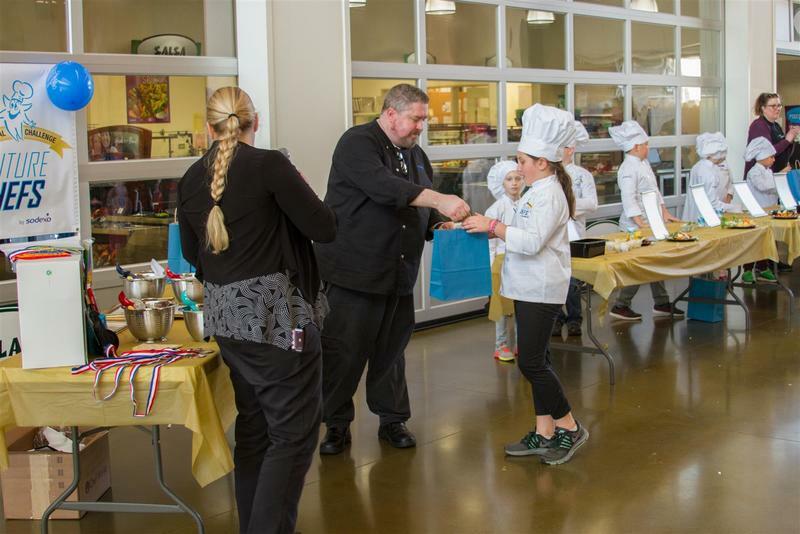 Finalists are selected to participate in the competition held at Woodland High School where each student prepares their recipe for review by a panel of judges who select winners in different categories. Student chefs prepare enough of their recipe to be enjoyed by everyone who attends the event! Finalist recipes included such favorites as Yummy Bowls, Grilled Chicken Fajitas, Fish Tacos, Pork & Reggie Torta, Mexi Cauli-Tots and many others. 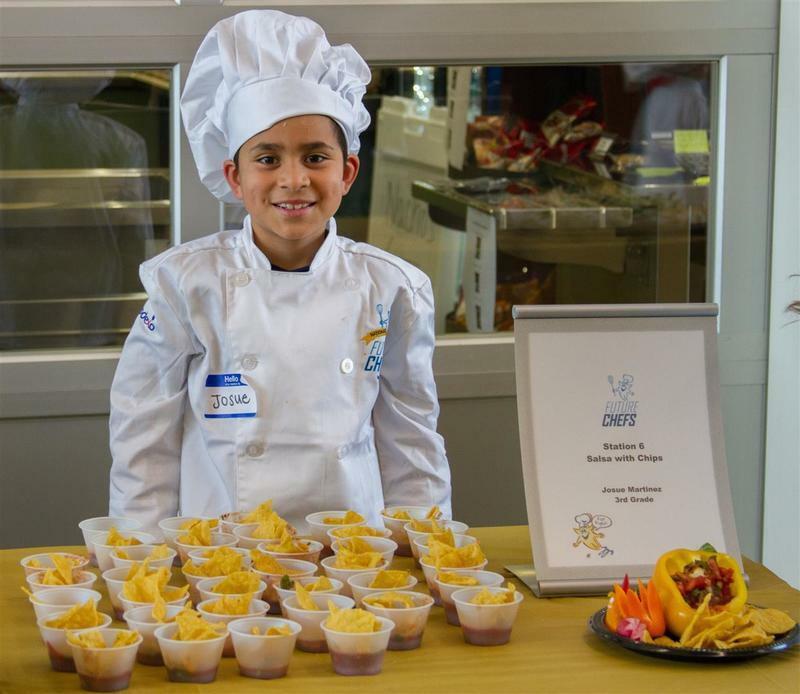 You can check out the recipes and even make them yourself by downloading the Woodland Public Schools Future Chefs Recipe Book by clicking this link. Each student prepared a special presentation plate for the panel of judges. Each category winner received a gift bag including a colander, ice cream scoop, pizza cutter, corn cob holders, and a timer. All participants get to keep their official cook uniform including hat and smock. The grand prize winner was Gina Ek, fourth grader, with her recipe for Fish Tacos. “Gina will move on to the regional round of competition, and if she wins, she will get to produce a short cooking video detailing how to her make her recipe which will be voted on nationally,” said Perry. Ek received a special collection of prizes including an entire cookware set, cutting boards, measuring cups, a cookbook, and an Amazon Echo Dot smart speaker. Each category winner and the grand prize winner received a special gift bag of prizes. Cooking at a younger age has become more popular in recent years thanks to the rise of cooking videos on the Internet and television cooking shows. "A lot of our participating students learn food preparation thanks to television cooking shows and YouTube videos," explained Perry. "In addition, a lot of students help prepare food at home by cooking with their parents and families or just experimenting on their own." 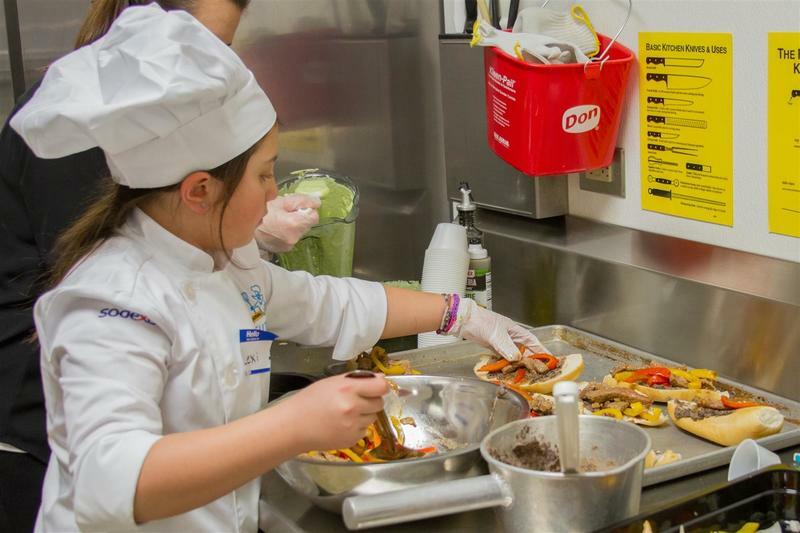 The Future Chefs program is part of Sodexo's community outreach program with Sodexo sponsoring the event including buying the ingredients for all of the recipes. Woodland staff members from the district's different school cafeterias helped guide and supervise the student chefs to ensure everyone followed proper kitchen safety protocol.